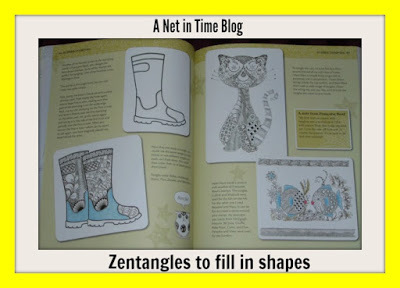 Zentangles…I had never heard that term before until I received this book. The cover made me think of the colouring books that I enjoy doing. I always thought those were called mandalas though, which of course led me to research that idea. A mandala is a piece of art made in a circle. Mandala means “circle” in Sanskrit. 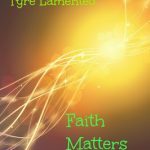 In Buddhist and Hindu faith systems they have spiritual significance. Outside those circles they are just circular drawings that can used to help you relax. A zentangle is any design made from repetitive patterns. Does not have to be in a circle shape. There are some people who use the words interchangeably, but mandalas are supposed to circular, zentangles can be anything. Anyways, all that to tell you about this book I have in my hands here. 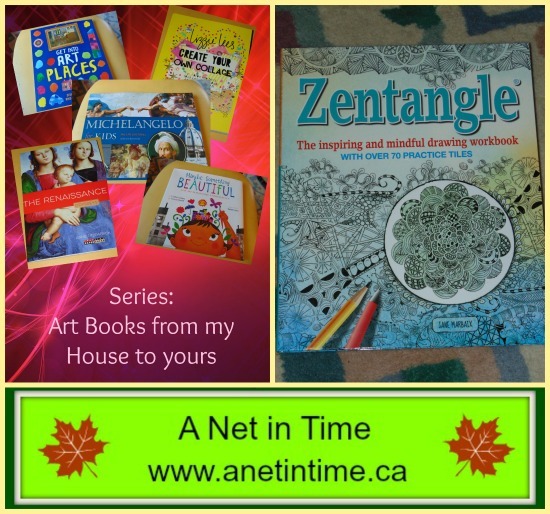 Zentangle: the inspiring and mindful drawing workbook. 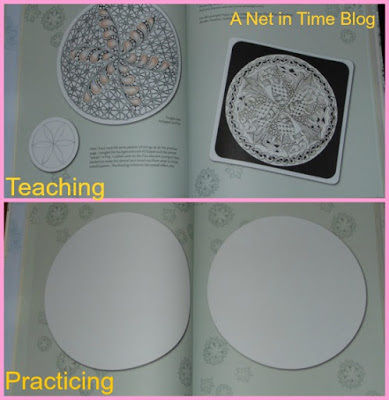 This workbook has over 70 practice tiles to play around with. It has been put together by Jane Marbaix. Zentangles are a way of doodling, it’s making a variety of shapes and designs on purpose. Mostly done to fill in a space, but sometimes they just become an art form. What I thoroughly appreciate about this book as it walks you through right from the beginning how to doodle with purpose. It always amazes me when I see doodles come to life. Take for instance this video. Simple lines and shapes, but suddenly they become something. Ms. Marbaix provides the space right in the book to practice the techniques that she shows the reader how to do. 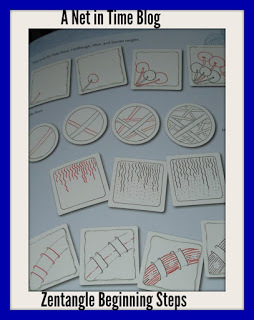 She starts with the very basics, how to make the most basic of doodles and what they are called. Doodles like tipples, crescent moon, static, zander, poke root, hollibaugh and msst. We then proceed to the use of string and more advanced doodles. Each step leads to more advanced techniques. Before you know you it you’ll be filling in shapes and making rubber stamps and all sorts of interesting items. A whole world is waiting to be drawn and doodled. Of course as I go through this book I keep thinking to myself… wouldn’t this be fun to do with a group of interested youth? 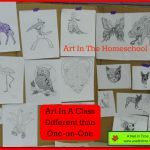 The lessons in the book are straight-forward, they could all bring lots of paper to practice on, ideas to spur each other to doing their doodle drawings better, and can you imagine the lovely zentangles they could come up with? To have fun deciding which of the more complicated designs they might wish to learn. Each of these more complicated designs comes complete with a green box describing it’s name and what the pattern is. I just love how this book starts with easy and gradually works it way up to tougher designs to create. 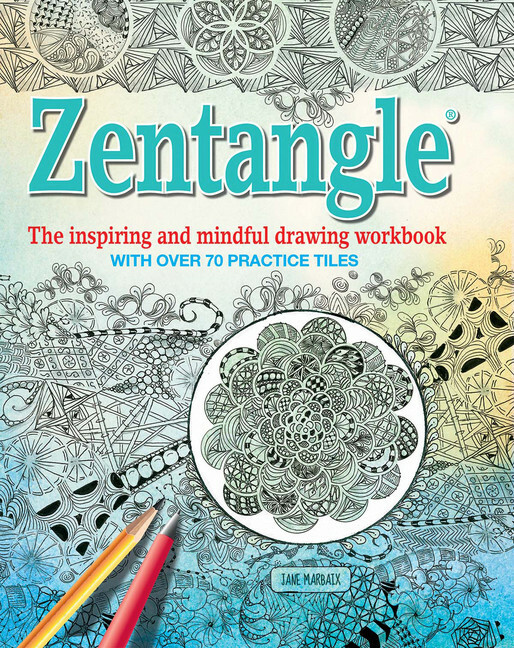 This is a great book to learn the how and wherefore’s of doing good doodling as you learn to draw zentangles. Well-written, with lots of information and examples to draw from. Inspiration awaits! Use it to relax, to focus your mind, to release your creative talent, to refine your doodling abilities and more. 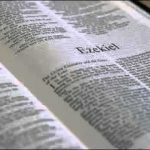 It’s a great book to learn from, check it out today, really. 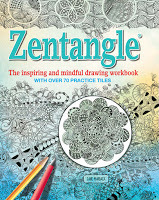 Zentangles: the inspiring and mindful drawing workbook with over 70 practice tiles. Looks like a cool book. 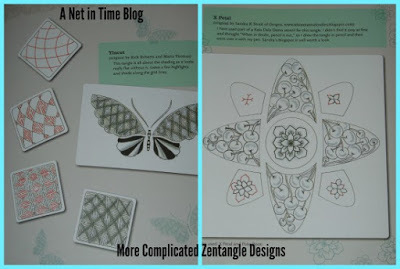 I love how it lays everything out for you to be successful with your zentangling! I find zentangles fascinating, but intimidating. This book sounds like it would help make them a little easier for me. This book makes them very easy to do. 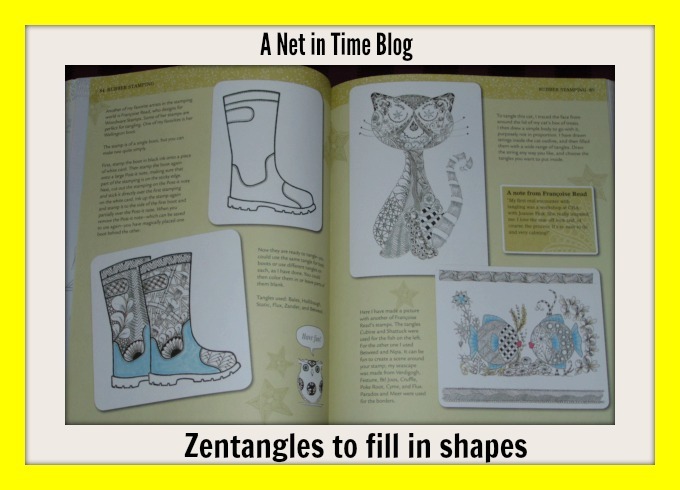 Thanks for the explanation of exactly what zentangles are. I'm fascinated by them but haven't tried my hand at it yet. This book looks like a good way to start. This book makes it easy I'm considering doing this class for my co-op. 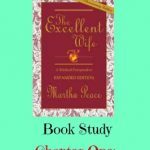 It is a great book, and I want to keep adding. Books are fun! That looks like a cool book! Thanks for sharing. 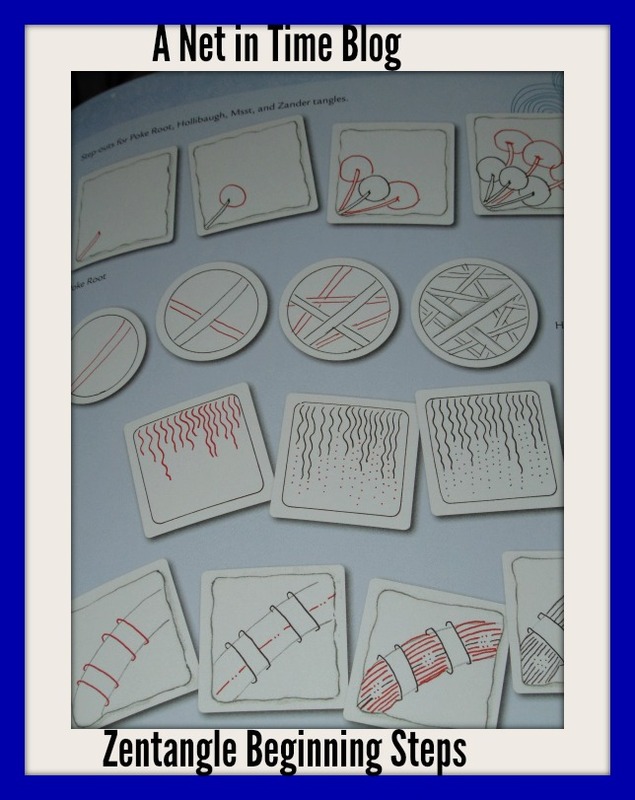 When I was trying to find a good book to read while travelling, a friend of mine suggested me to read Zentangles. It was a really good book as it kept me hooked through out the travelling.